Home » International Incident » The Center of the World, and two blondes in Mexico. ← Don’t make me get my gun out. Again. The Center of the World, and two blondes in Mexico. For the first time in my adventures, I’m about to tell you of an “attraction” I will never again go to. Nope, it’s not Mexico. 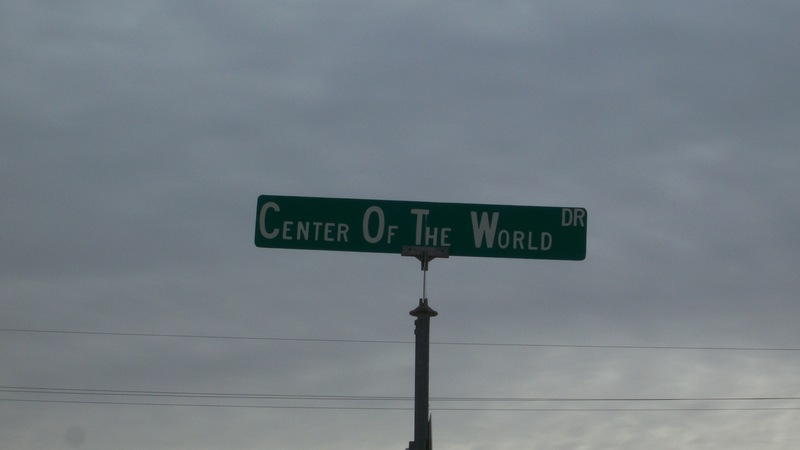 Not far from the border of Mexico, is the small town of Felicity, California, the self-proclaimed “Center of the World”. The Center of the World? After a long road trip to get there, my rig/house guest (who has long since returned to their day job) went in and asked to use the bathroom only to be told by the non-too-pleasant greeter it would cost three dollars. The owner, with whom I had a separate conversation, quoted me five dollars – with a similarly unfriendly demeanor. Our experience was unpleasant, to say the least. Skip this “attraction” – we did. My poor friend really had to pee, but we felt it wasn’t worth prolonging and compounding the bad experience we’d already been given by being charged for it. All you need to know is EVERYWHERE is the true Center of the World. Wherever you are at any given moment, even right now while reading this post, you are on the center of the world. My temporary house/rig guest suggested a quick trip over the border. I was nervous about the idea when I recalled the stories I’d heard. But after much hemming and hawing, I agreed. My concern was unfounded. 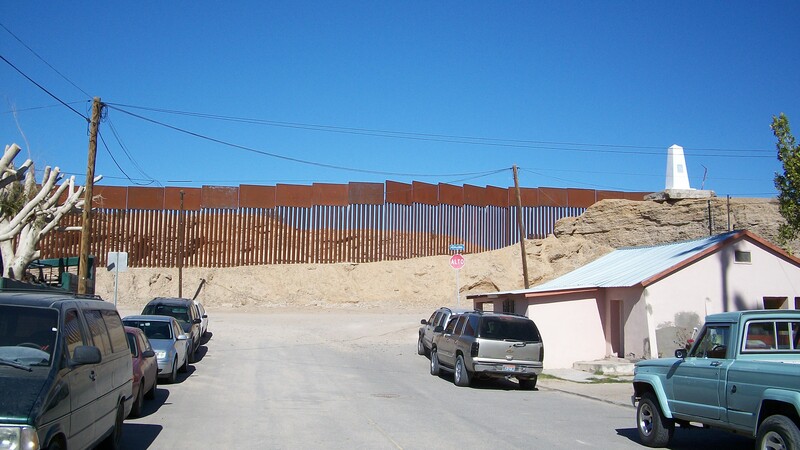 Algodones, Mexico, is a very friendly town seemingly occupied by more visiting snowbirds than natives. It lies just over the California border, only thirty minutes from Yuma, Arizona. 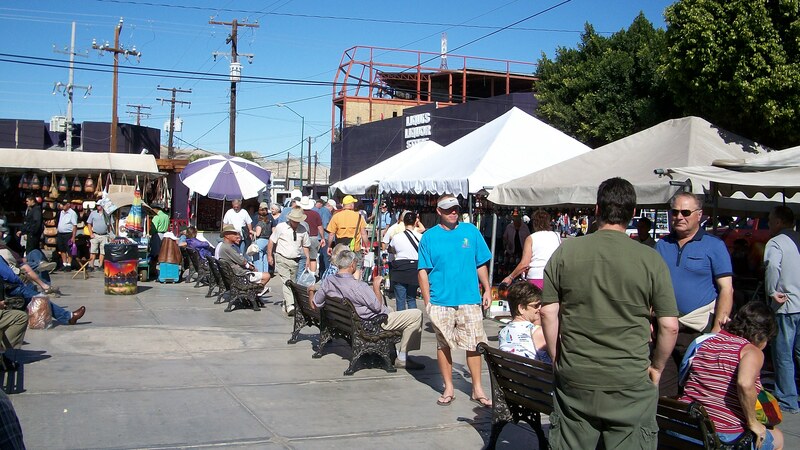 The streets are lined with vendors selling all sorts of beautiful handmade crafts and gifts, all fairly inexpensive. That said, it’s important to know this one phrase in Spanish: No dinero. Otherwise you’ll be stopped every five feet by each vendors. They are very kind, just very diligent in their sales pitches. 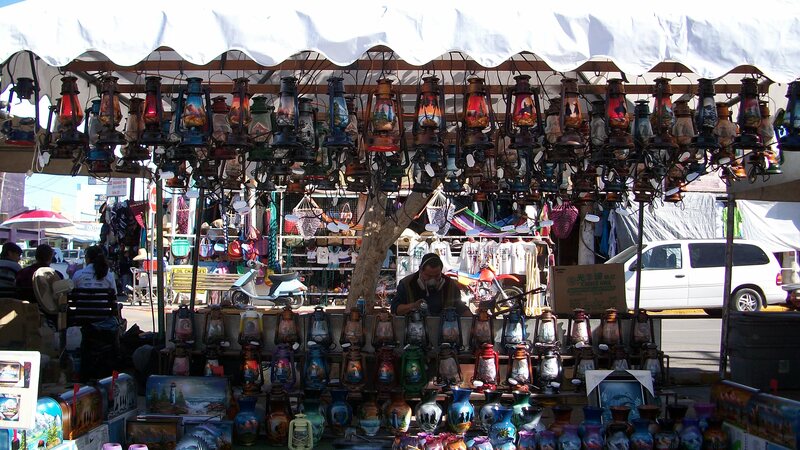 One of many vendors in Algodones, Mexico. And then there are the dentists. Yup, dentists. Every other building is a dentist’s office. My snowbird friends all swear by the excellent dental practices of Mexico, going so far as to plan their winter destinations around getting their dental work done in Mexico. They assure me not only is the quality far superior to American dentists, but the cost is less than ten percent. I saw this first hand – cleanings are only $10 and often include a FREE exam! X-rays were only $10. I know where I’ll be getting my dental work done from now on! The other buildings are pharmacies. When you walk by they try to sell you Viagra. Do I look like I need Viagra? How about some Xanax? I should look like I need Xanax, not Viagra. It seemed odd to see it *right there*, so close to homes and the downtown area. It's sights like this make me grateful for OSHA and other safety regulatory agencies. My house guest and I are a bit younger than your average snowbird, and we both have very blond hair, so we stood out just a bit. Even so, everyone was very polite and we felt quite safe. Except when standing under the electrical wiring. Wow, that’s amazing about the dentists. Did you know you can also get cheap meds there, without a prescription? Somehow, I didn’t have you in my reader, but you are now. I may have to go down there for the dental prices alone. I think it may still be cheaper even after I pay the travel expenses. Interesting, I want to be traveling as you are. Thanks for sharing! Algodones is reputed to have wonderful dental care. My teeth are fine so I’ve never needed to experiment, but I know a bunch of people who have. 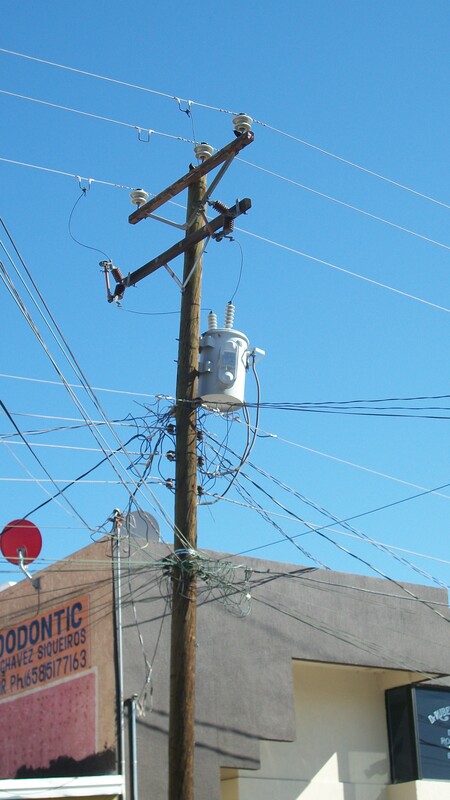 Oh, and if you think the power company electricians in Algodones are creative, those in Ojinaga would look like true artists. Even Boquillas has come creative wiring and that town doesn’t even have power yet.